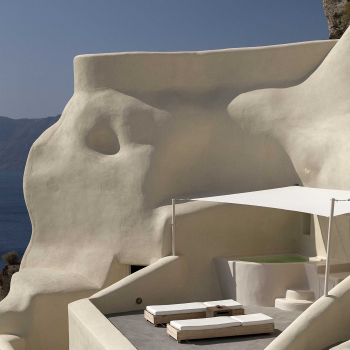 The Mystique, a Luxury Collection Hotel, is located in the settlement of Oia on the island of Santorini. 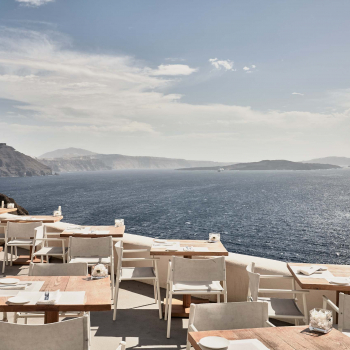 This luxury Santorini hotel is built on Oia's most famous cliffs, designed in a typical island-style and offers amazing views of the Aegean Sea. 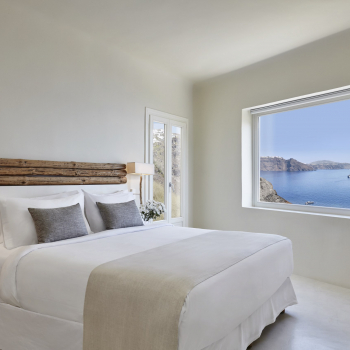 This exclusive Santorini hotel consists of various types of luxury suites and villas offering a luxurious accommodation to all its Santorini guests. 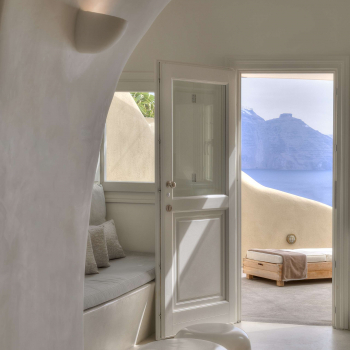 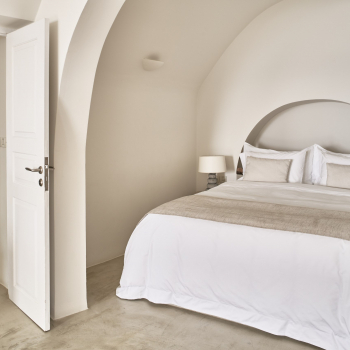 The Mystique, with its spacious rooms and their unique sense of comfort, will definitely captivate all Santorini visitors seeking the highest standards of hospitality. 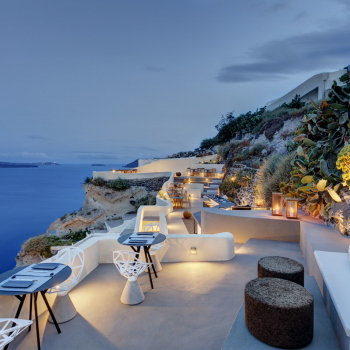 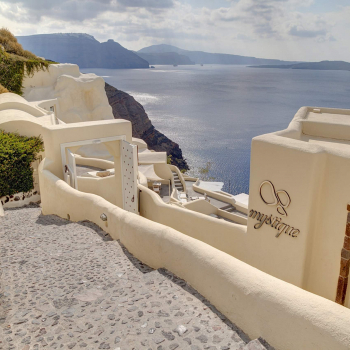 This luxury hotel in Oia recognized as a top-luxury accommodation option on the island of Santorini has received several prestigious distinctions. 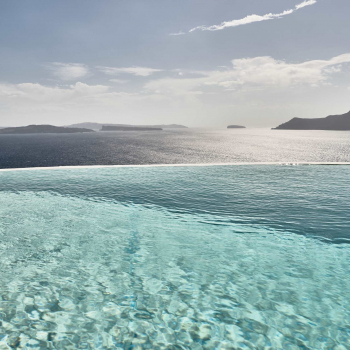 Outdoor infinity-edge pool, the " Aura" bar, the "Charisma" gourmet restaurant, the " Secret" wine cave and the Spa. 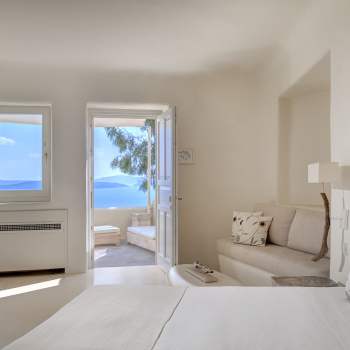 Luxury Collection king-size bed, individually controlled air-conditioning, flat screen TV with satellite channels, wireless internet connection, bluetooth radio alarm clock with USB charger, electronic in-room safe deposit box, direct dial phone with voice mail system, make-up mirror, hairdryer, bathrobes, slippers, KORRES natural bathroom amenities. 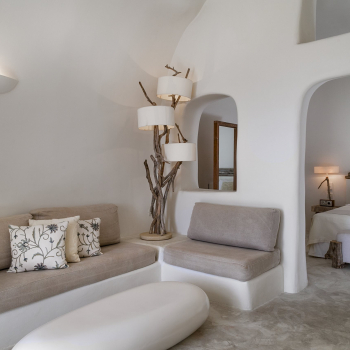 24 hours front desk, bell boy service, concierge desk, valet and butler service, 24 hours room service, home made liquor and local sweets upon arrival, daily fresh fruit amenity and mineral water, twice daily maid service, nightly turndown, welcome drink and cold towel upon arrival, complimentary Wi-Fi. 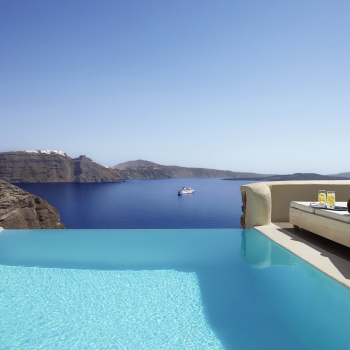 Customer Responses: 53 What's This?